A beautiful, resort-style suburban city, Winter Park is conveniently located just 30 minutes or so north of Orlando and 45 minutes west of the coast and its spectacular beaches. Boasting a mature tree canopy, Winter Park is a refreshingly green city with plenty of open spaces. It has more than 70 parks and a gorgeous chain of lakes encompassing over 2,700 acres. The Winter Park Chain of Lakes is a series of beautiful lakes, some of which are connected by navigable canals. These include Lake Maitland, Lake Osceola, Lake Virginia, and Lake Mizell. The lakes are a popular boating, fishing, water-skiing, and wildlife viewing destination. Boat ramps are located on lakes Virginia and Maitland. Winter Park is well on its way towards developing a comprehensive network of walking and biking trails. In 2015, it earned the bronze-level Bicycle Friendly Community designation from the League of American Bicyclists. The city boasts a wealth of museums and galleries. These include the Charles Hosmer Morse Museum of American Art, Albin Polasek Museum and Sculpture Gardens, Cornell Fine Arts Museum, Hannibal Square Heritage Center, and Casa Feliz Historic Home Museum. Events like the Bach Festival, the Florida Film Festival, and the Winter Park Sidewalk Art Festival attract artists and art lovers alike. Winter Park is served by top-notch schools in the Orange County and Seminole County public schools districts. Winter Park High, for example, received a Silver medal from U.S. News & World Report’s ranking of the country’s best high schools in 2015. The city has also been home to Rollins College since 1885. The liberal arts college has consistently been ranked the #1 or #2 regional university in the South by U.S. News & World Report since 1996. Winter Park was originally intended to be a resort community and is still primarily residential to this day. Single-family homes in a wide variety of styles and prices dominate the market, and there are also quite a few condos and lots available. The finest properties in this upscale community come with seven-figure price tags and are often in a lakefront location. Buyers will also find a varied selection of starter homes and comfortable residences in well-established neighborhoods. Predominant architectural styles include Mediterranean, Spanish Revival, and ranch. 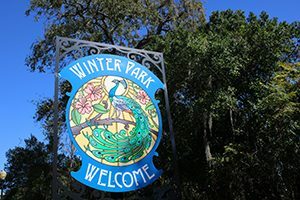 Interested in Winter Park homes? Browse the Featured Properties [link to Properties page] to view currently available properties in Winter Park or use the MLS tool [link to Advanced Property Search] to launch a search. Need more in-depth information? 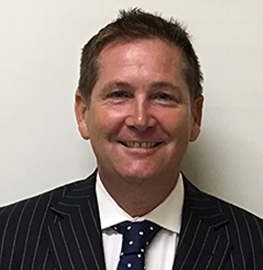 Get in touch with Paul Walker today at 407.607.5023 or via email Paul@Walker.Realtor for more information.– Paul specializes in the sale and purchase of real estate in Winter Park, Orlando, Windermere, Clermont and other Central Florida cities. He’s love to help you find your dream home here.